Tips for Selling your home faster! A well-manicured lawn and shrubs, and a clutter free porch welcome prospects. So does a freshly painted or a freshly scrubbed front door. If it's autumn, rake the leaves. If it's winter, make sure there's no ice on the sidewalk or steps. The fewer obstacles between prospects and the true appeal of your home, the better. Here's your chance to clean up in real estate. Clean up in the bedroom, the bathroom and the kitchen. If your woodwork is scuffed or the paint is fading, consider some minor redecoration. Prospects would rather see how great your home looks than hear how great it could look with a little work. Dripping water discolors sinks and suggests faulty or worn-out plumbing. Burned-out bulbs leave prospects in the dark. Don't let little problems detract from what is right about your home. If cabinets or closet doors stick in your home, you can be sure they will also stick in the prospect's mind. Don't try to explain sticky situations when you can easily plane them away. A little effort can smooth the way towards a closing. Homeowners learn to live with all kinds of self-set booby-traps: roller skates on the stairs, extension cords, slippery throw rugs and low-hanging overhead lights. Make your residence as non-perilous as possible for visitors. Remember potential buyers are looking for more than just comfortable living space. They are looking for storage space too. Make sure your attic and basement are clean and free of unnecessary items. The better organized a closet, the larger it appears. Now's the time to box those unwanted clothes and donate them to charity. Bathrooms sell homes so let them shine. Check and repair damaged or unsightly caulking in the tubs and showers. For added allure, use your best towels, mats and shower curtains. Wake up prospects to the cozy comforts of your bedroom. For a spacious look, get rid of excess furniture. Colorful bedspreads and fresh curtains are a must. Let the sun in. Pull back your curtains and a drape so prospects can see how bright and cheery your home really is. Be sure your windows are sparkling clean too. Turn on the excitement. Turn on all your lights, both inside and out, when showing your home in the evening. Lights add color, warmth, and make prospects feel welcome. Potential buyers often feel like intruders when they enter a home filled with people. Rather than giving your house the attention it deserves, they are likely to hurry through. Keep the company present to a minimum. Dogs and cats are great companions, but they are not when you're showing your home. Pets have a talent for getting under foot. So do everybody a favor: keep kitty and spot outside or at least out of the way. Also, be sure your home does not have any pet odor that could make the buyer feel uncomfortable. Rock 'n roll will never die, but it might kill a real estate transaction. When it's time to show your home, it's time to lower the volume on the stereo or TV. However backgroud music is a big plus! Be friendly, and don't try to force conversation. Prospects want to view your home with a minimum of distractions or interruptions. No matter how humble your abode, never apologize for its shortcomings. 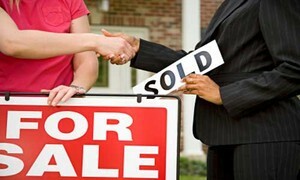 If a prospect volunteers a derogatory remark about your home, let your Realtor handle the situation. Nobody knows your home as well as you do, but Realtor’s know the buyers. He will know what they need or what they want. Realtor’s will have an easier time articulating the virtues of your home if you stay in the background. When a prospect comes to view your home, don't distract them with offers to sell your furnishings. You may lose the biggest sale of all that is, your home. When prospects want to talk about price, terms and conditions, or other real estate matters make sure you tell them to consult with your Realtor. That's when a good agent earns his or her pay by putting highly effective negotiating and training techniques to use.